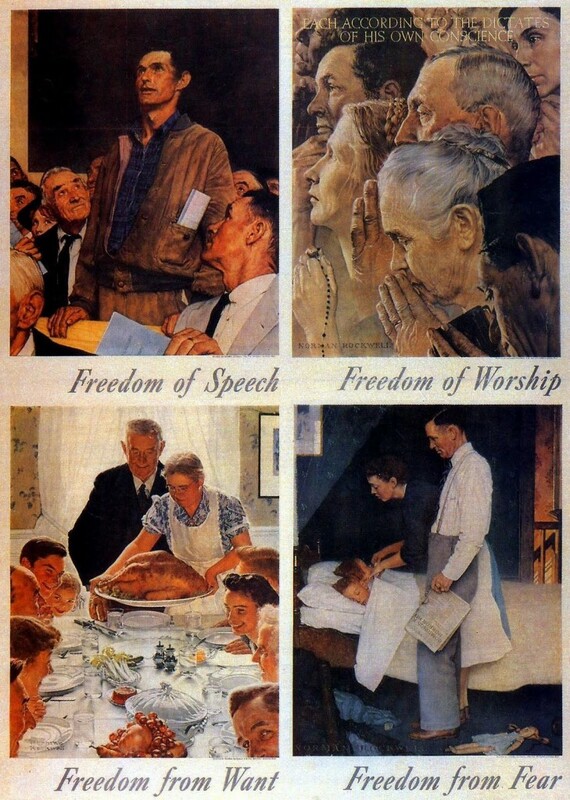 Our final Thankful Thursday, and our final thought on The Four Freedoms presented by Normal Rockwell and how they related to games. Be sure to check out the the rest of this series here. Rockwell’s “Freedom from Want” was the third in his series, and, being one of a series of paintings completed during World War II, had an unfortunate (but understandable) reaction from Europeans, who saw the painting as one of excess in the United States, while they were being ravaged and displaced by war, obviously wanting much. In the United States, this painting was meant to symbolize (unsurprisingly) not wanting for anything – food is abundant, company is good, and the family is intact. Some have even gone so far as to say that the surplus depicted in the painting is a representation of freedom from want, because having just as much as you need is comparable to surplus when it comes to not wanting for things. Regardless, this dichotomy between one country’s excess and another country’s devastation happening at the same time fascinating from an art perspective, and certainly from a game perspective. It mirrors a similar dichotomy often found in games, particularly RPGs which play on power fantasies. 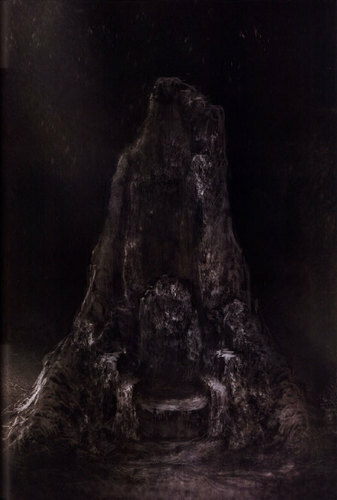 The main character often is not left wanting for much, other than to vanquish the next boss. Everyday problems are often beneath them, they can easily (or mostly easily) procure goods they need, and they are often ready for the next challenge by the time they reach it. To take the US and Europe example, I’d compare, say a Skyrim type game to a Dark Souls game. In Skyrim, the main character literally starts from nothing and can build their lives until they are rich and powerful. They are, after all, the Dragonborn! The country may be bleak, and covered in snow, and in the midst of a civil war, but the Dragonborn doesn’t really feel its effects… ever. If I am understanding correctly, this allows the character to dream up a world of his/her choosing, exactly the way he/she wants. If it’s for good, then that is beneficial for all, and if it’s for evil, then… well, one person gets everything they want, and another doesn’t. The one is all-powerful, and many are left wanting. It’s something for all of us to remember: there will always be someone who has more, and always someone who has less. As we go into the holiday season, we should always remember that, while it’s okay to better ourselves, we should always keep in mind how what we do might affect those in differing positions than us. What do you think? Do games teach that exploitation is okay, or do they exist just to entertain? Should we concern ourselves with the needs of others while our characters quest to the top? Does it not matter? Let me know in the comments! Yup. There millions of people who have things that I want. There are millions of people who want what I have. Focusing on being grateful for what you have, and only searching for what you actually need, is the true freedom from want. Yeah, in a game world, everything is and should be possible, insofar as giving people a variety of experiences and chances to experience different things, no matter what. And there is nothing wrong with a side questing problem….